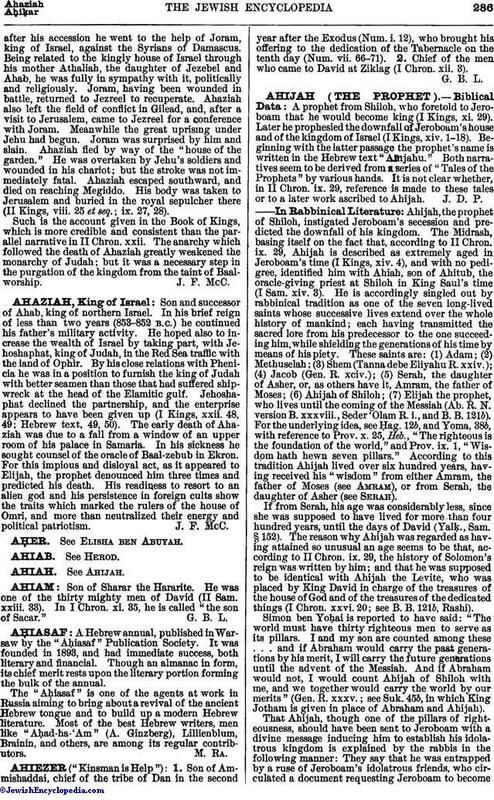 AḤER See Elisha ben Abuyah. AHIAM Son of Sharar the Hararite. He was one of the thirty mighty men of David (II Sam. xxiii. 33). In I Chron. xi. 35, he is called "the son of Sacar." G. B. L.